Wonder why it is called Leatherby..
so gorgeously and sinfully tempting!! How to resist not eating!! I surely cannot finish all of it! 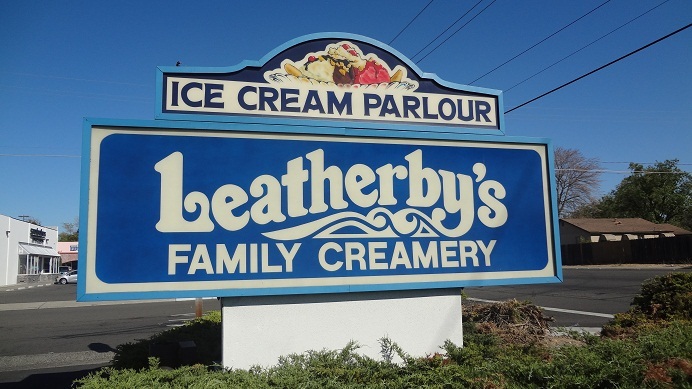 and not only ice cream, Leatherby's is famous for their Fresh Crab sandwich! Not those crabsticks but Real Crab Meat! Gosh!! Next year... or the next... 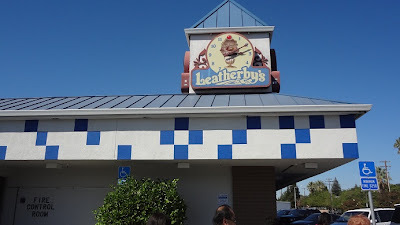 I must come visit you again, Leatherby!! Looks gorgeous. Yesterday, Arthur was posting on banana split and today yours lagi sinful. Lead me not into temptation. The serving is huge. 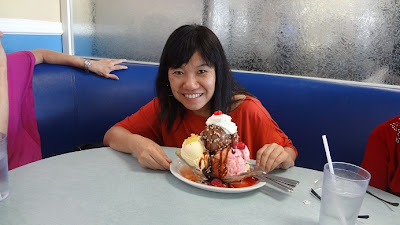 That's something I like about American food, the portion is big, can share with others. Sinfully delicious...The scoop is so big! Is scorching hot here. Wish to have one big scoop of this ice cream. Yummmee! Ooooooo...those definitely puts the ones at Payung here to shame! Slurpssss!!!!!! 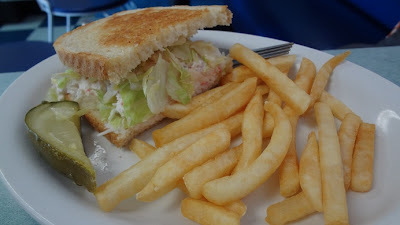 I want that crab sandwich!!! Nom! Nom! Nom!!! My oh mai! So BESAR!!!! 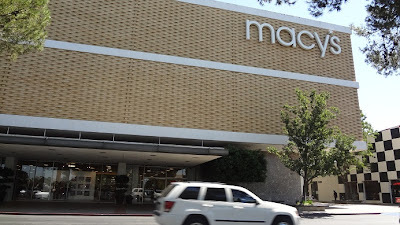 Macy....I can shop there the whole day eh! Wild Boar say I must visit if I am there :p All the baking stuff and all...drooling. 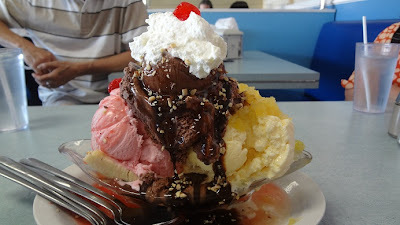 The ice cream looks sinfully rich and family size sure cannot finish la LOL! And real crabmeat...gosh, I am hungry now ! Yeah...all food portions are very enormous!! That is why one plate of rice here can be shared among 3 of us ladies... cheap and nice.. the standard of living here is definitely lower than MY!! The portions of the food is as large as those in London. A single serving is good enough for 3 Asians (small eaters la). In London, we shared everything from Full English Breakfast to course meals. 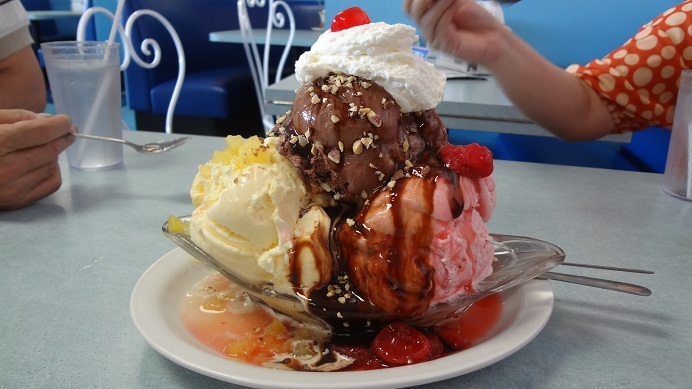 wow, interesting..I surely love the ice-cream! wow the ice cream is HUGE..
Wah, better don't put on weight upon your return! Feel like joining u. Lol! Did you eat this all? 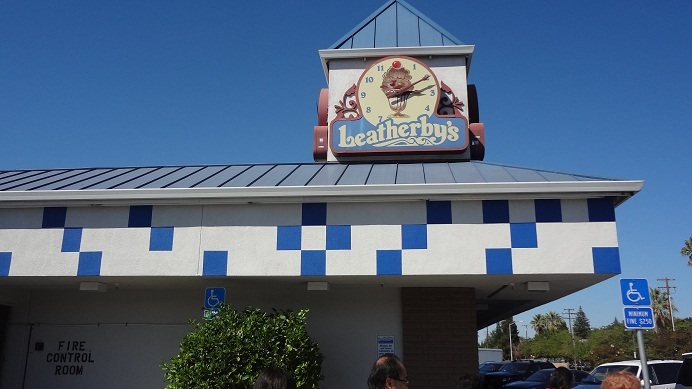 I I i I i want iceCreams!!! OMG...such a huge ice cream.....looks super yummy.. 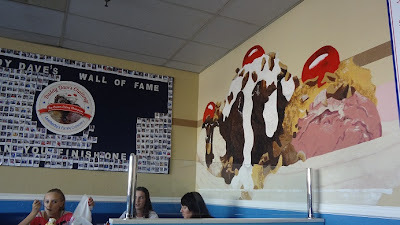 Beat our miserable looking banana split hands down! Yes really can't resist it!! Should take the photo of the fresh crab sandwich closer.